Learn all about this literary honor and how to bring it to life for students in our March Webinar. Update: Missed the webinar? Watch it now! 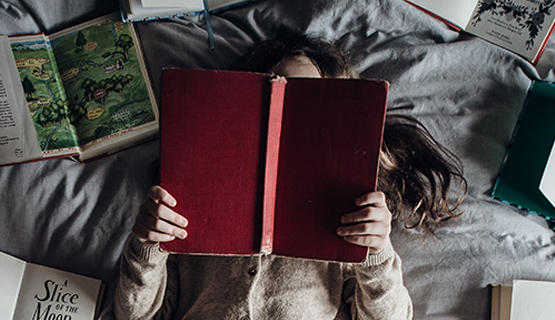 In honor of 2018’s Newbery Medal winner, Hello, Universe by Erin Entrada Kelly, Britannica Digital Learning (BDL) brings you the insider’s scoop on how a book earns that honor and how you can bring the Newbery process to life with your students. Join us for a free webinar on March 6 at 4 PM CST with Newbery selection committee member and Kentucky librarian Lori Coffey Hancock to learn the ins and outs of the secretive process behind this coveted award. Tamiko Brown, School Library Journal’s 2017 School Librarian of the Year, will also show you how to get your students involved year-round with their very own Mock Newbery Book Club. Pair this year’s Newbery winner and honorable mentions with Britannica’s favorite library tools—webinar attendees will earn a month of free access to both Britannica School and ImageQuest! Pam Renfrow, Britannica’s in-house-expert-educator, will also review lesson ideas for all levels that use the 2018 winning titles and honor past winners. Get to know this year’s winner and how it stacks up! Lori Coffey Hancock is a librarian at The Lexington School. She is a Newbery selection committee member and president-elect of the Kentucky Association of School Librarians (KASL). Tamiko Brown is a librarian at the Ed White E-STEM Magnet School (EWS) in El Lago, Texas, and School Library Journal’s 2017 School Librarian of the Year. Pam Renfrow is Britannica’s in-house-expert and Curriculum Specialist Manager, holding leadership roles in both state and national organizations and having classroom and director level experience in k-12 school libraries. Since 1922 the American Library Association’s (ALA) Association for Library Service to Children (ALSC) has awarded the John Newbery Medal to the best American children’s book published the previous year, rendering the winner an instant classic along the likes of Johnny Tremain, A Wrinkle In Time, and The Giver. Named for John Newbery, the 18th-century British bookseller and publisher who brought the world some of the first children’s literature, such as Mother Goose, the medal—along with all of the ALA’s Youth Media Awards (YMA)—has become synonymous with excellence in storytelling for young readers. “To encourage original creative work in the field of books for children. “To emphasize to the public that contributions to the literature for children deserve similar recognition to poetry, plays, or novels. Unlike some major awards, including the Oscars, all YMA nominees are kept secret until the winners are announced at the annual ALA Midwinter conference. This has added no small amount of mystery to the medal but also no small amount of fun, such as Mock Newbery Book Clubs. Teachers and librarians all over the country enjoy speculating with their students about possible honorees by “nominating” their own favorite new books throughout the year. Now, thanks to Britannica Digital Learning, just a little bit of that mystery can be lifted. Questions? Feedback? Hit us up @BritannicaLearn!